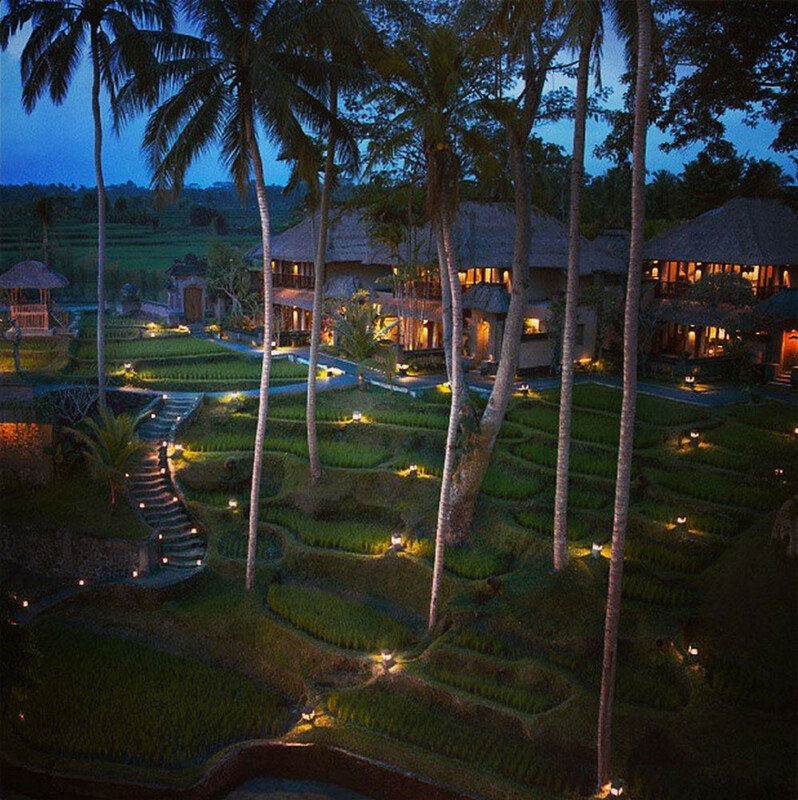 With Bali’s gorgeous scenery and luxurious villas, it’s often the dream destination for couples to hold weddings, pre-wedding photoshoots and go on their honeymoon. 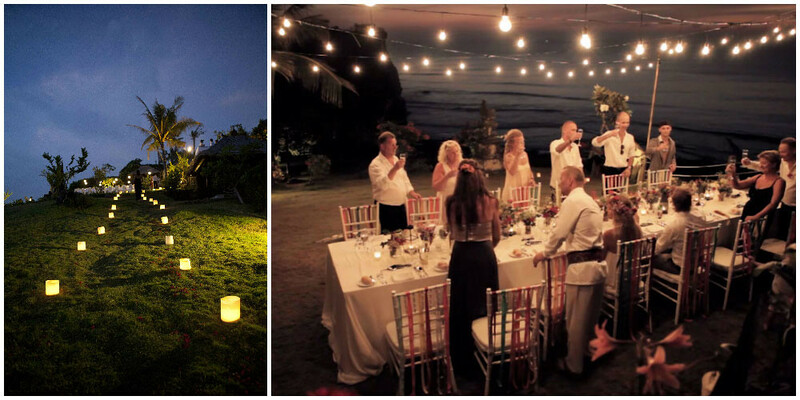 Many have chosen to exchange their sacred vows on Balinese land – and that’s a choice you won’t be likely to regret. But how can you literally make your wedding day the most special day of your life? 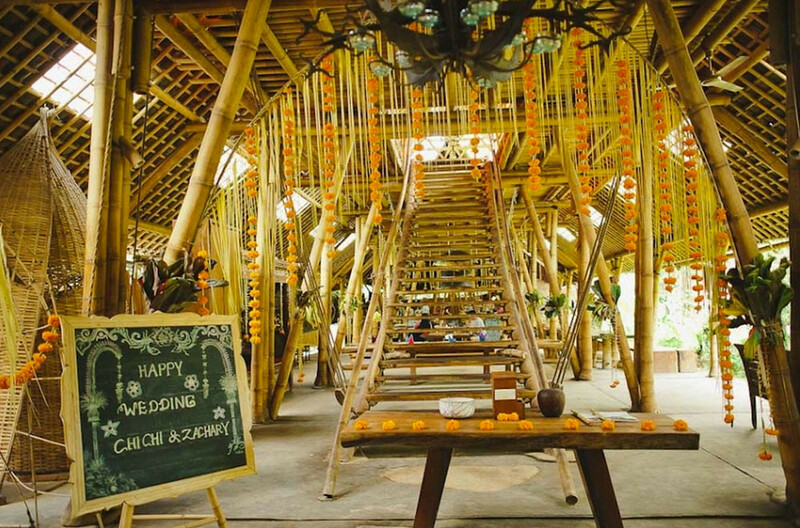 Check out our picks for the most unique wedding places in Bali that will blow your mind (while you secure your wedding ring). 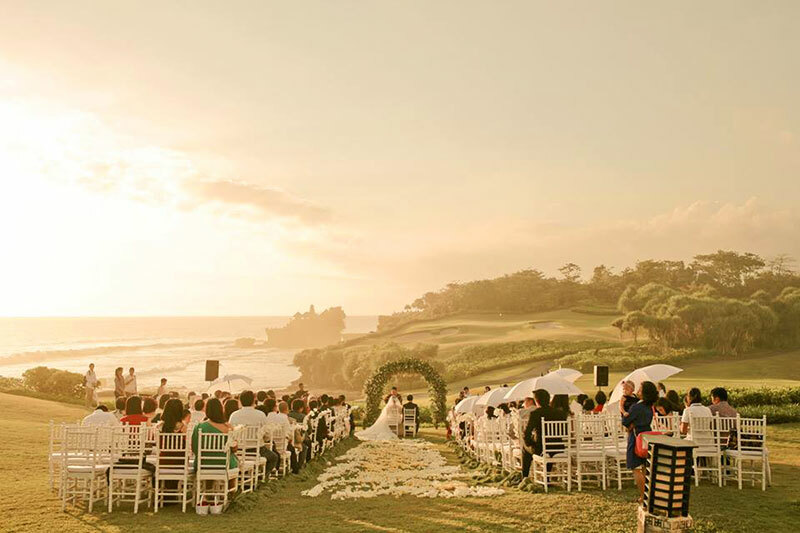 The Tanah Lot Temple is a Balinese icon and a must-see on any visitor’s list. 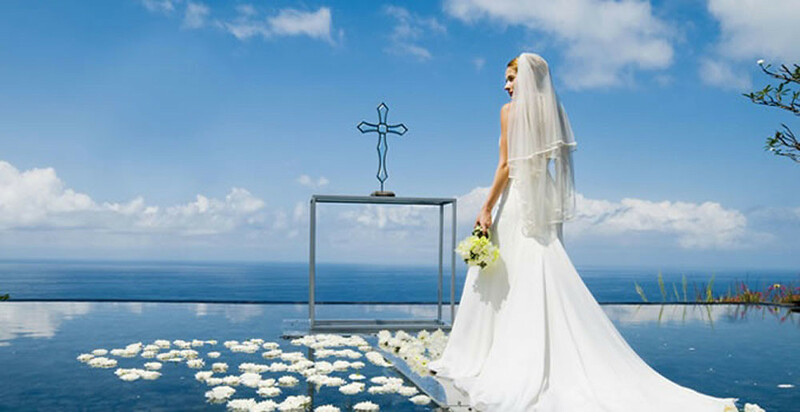 And the lavish Pan Pacific Nirwana Bali Resort offers couples a unique chance to say their I Do’s while overlooking this stunning Hindu temple rising from the frothy waves. 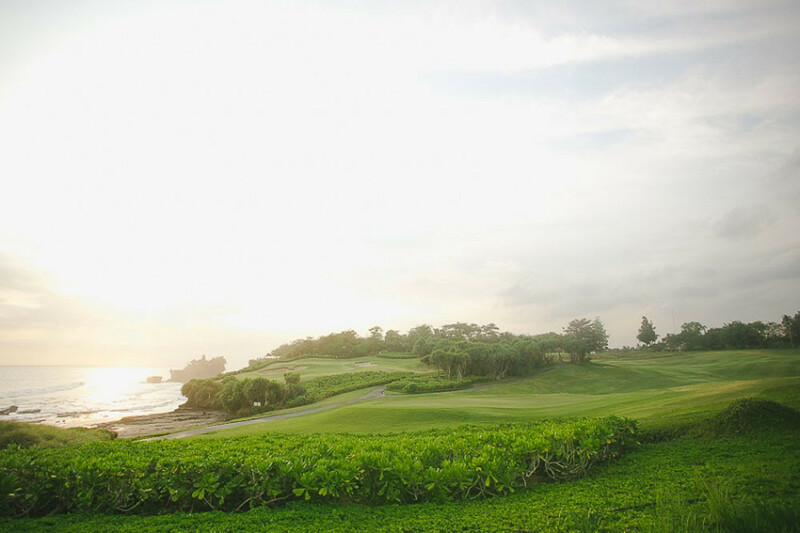 Besides the unbeatable view, the resort also houses emerald green golf courses stretching out into distance. 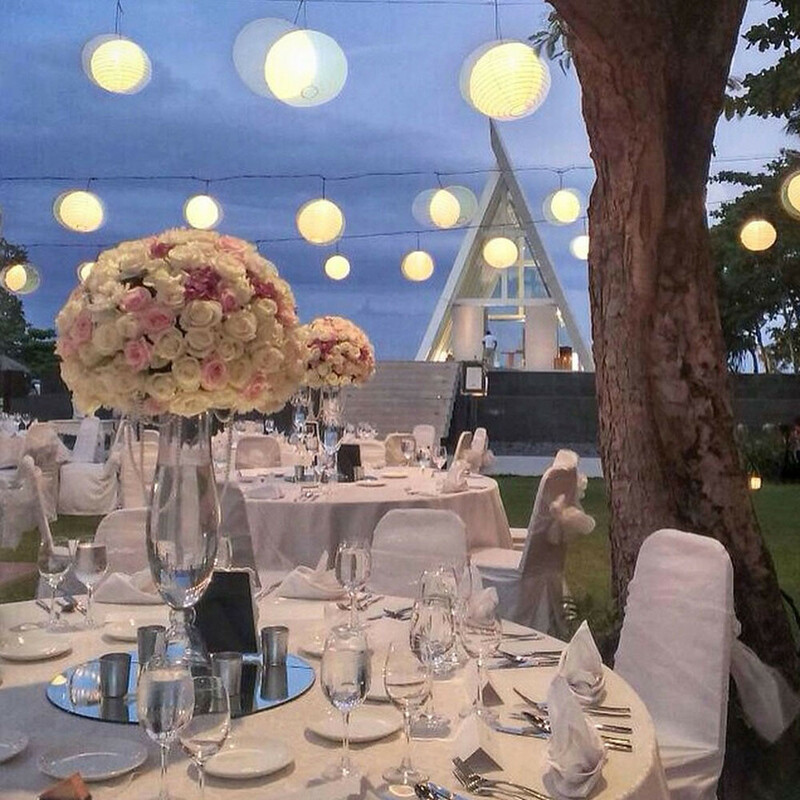 This venue also gives couples the option to really go all out on their big day as the resort has the capacity to host to 400 guests. 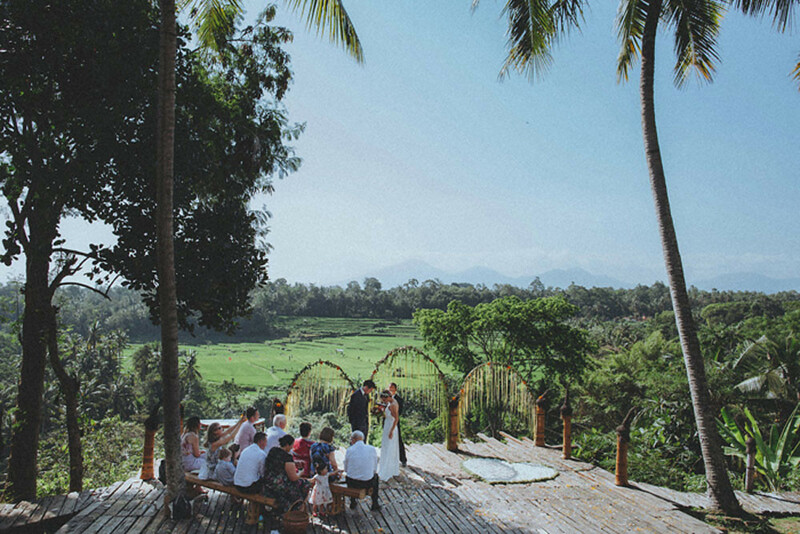 Exchanging your vows while the sun sets behind an ancient Balinese temple – as far as magical moments in paradise goes, it doesn’t get much better than this. 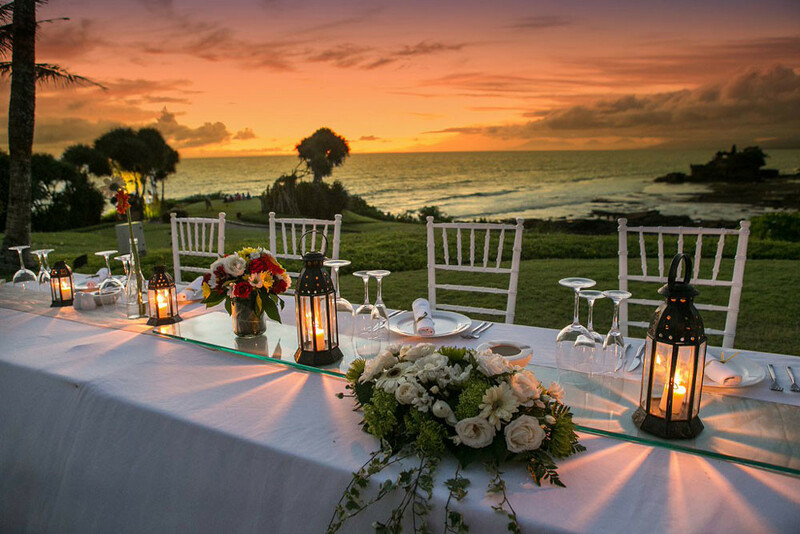 And when you’re done exchanging your vows, you’ll be happy to go back to your honeymoon suite overlooking the enchanting ocean. Providing spaces designed to soothe the senses and maximise romance – indulge in intimate showers or a soak in the oversized tub fit for two. 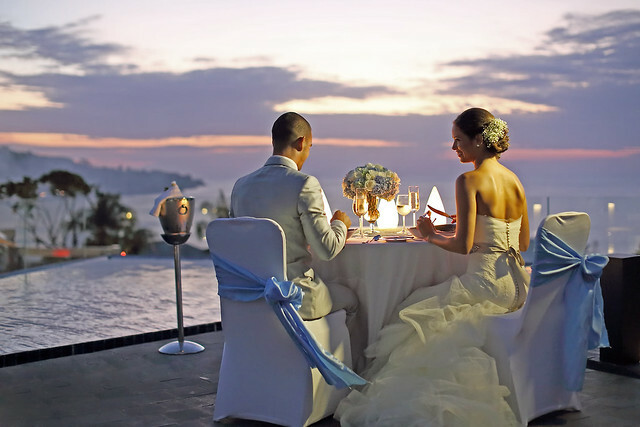 If not, retreat to the private balcony and look back on your special day – your time at Pan Pacific Nirwana Bali Resort is bound to be magical, and just as unforgettable. 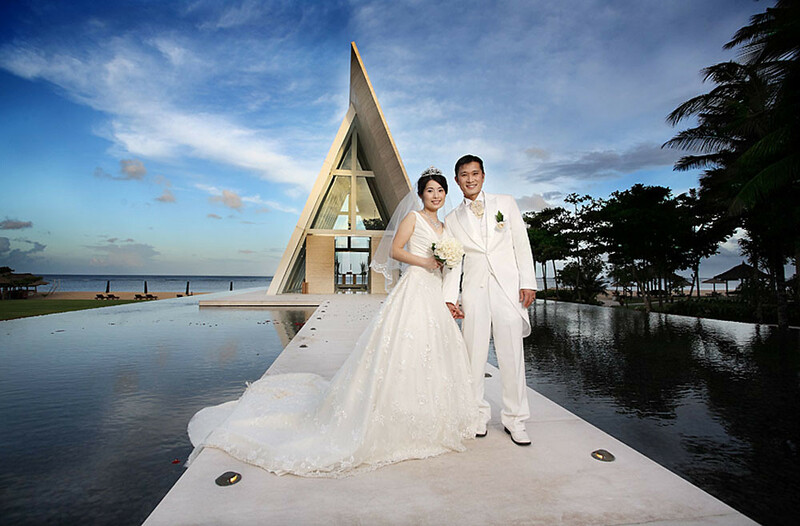 They say diamonds are a girl’s best friend, so isn’t it simply perfect to vow your eternal love for your partner in this gorgeous, diamond-shaped chapel? 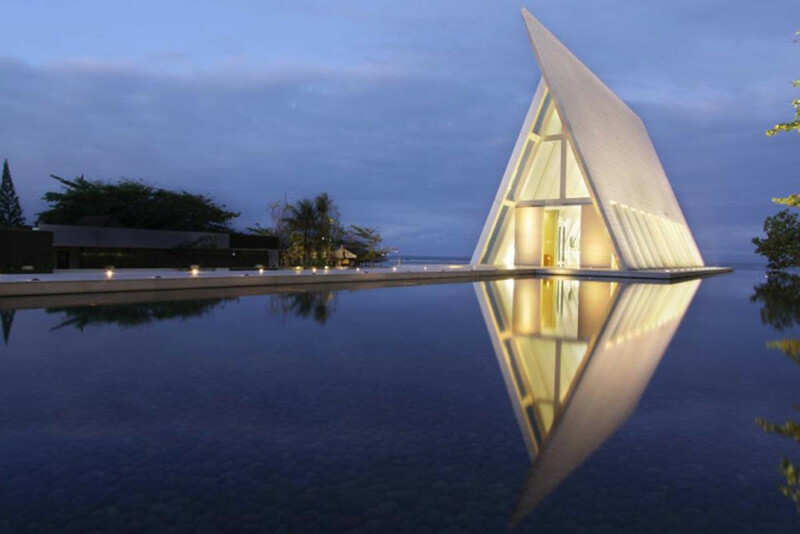 Standing at 15 metres tall, the wedding pavilion stands in the middle of a tranquil pond, and you can even get a superb view of the ocean from within its glass walls. 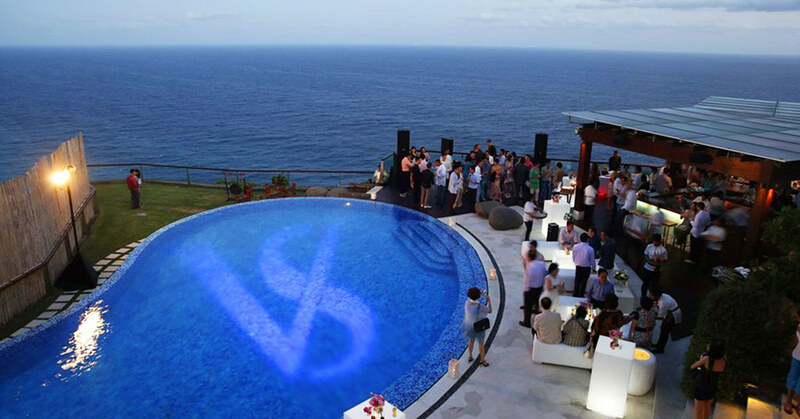 Better yet, you no longer have to wrack your brain trying to think of who you need to strike off the invitation list just because the venue is too small. 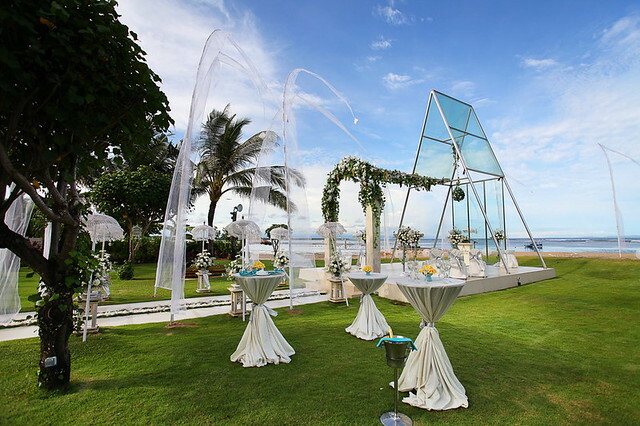 The Diamond Bali boasts of the island’s largest wedding pavilion, which has a seating capacity of 60 people at any time. Besides, it’s also known as “The most beautiful Chapel in the world”. That has to look good on the invitations, right? 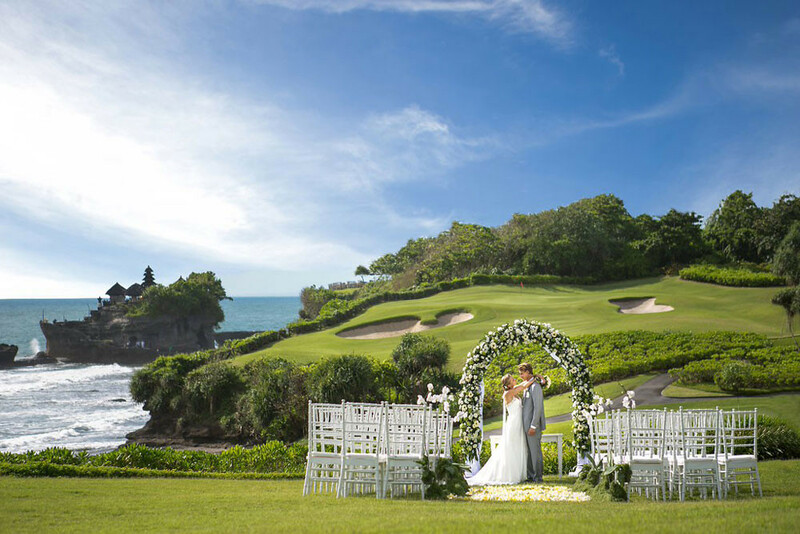 Did you know, Hong Kong-Malaysian supermodel Mandy Lieu (劉碧麗) and Korean model Jino C even filmed a jewellery commercial at the Diamond Bali, where they enacted a wedding scene? How beautiful! 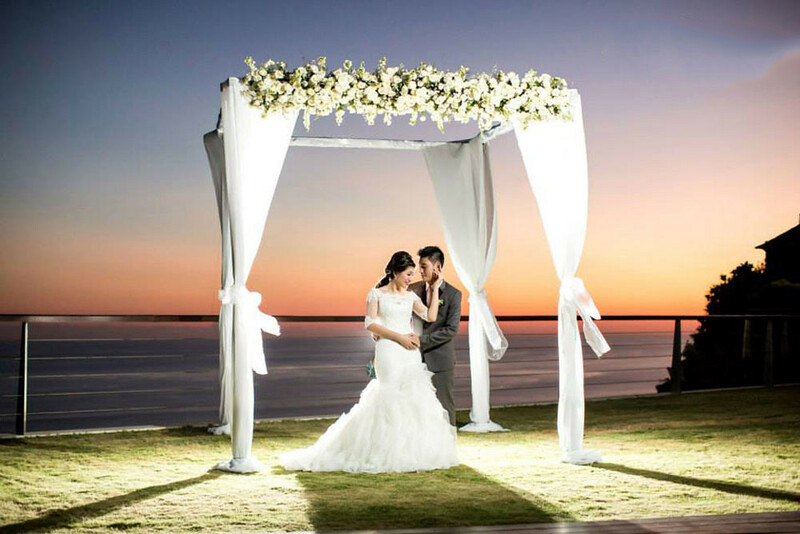 For details of wedding packages, check out their website. 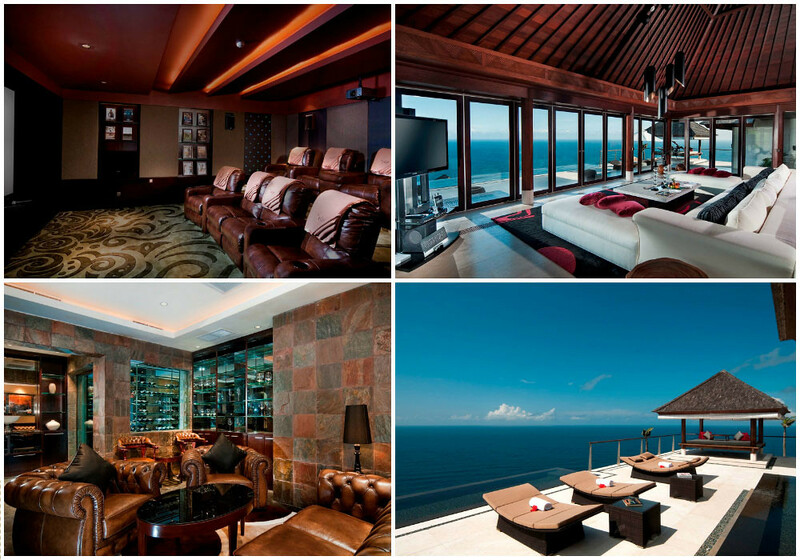 Don’t want to be confined by four walls? 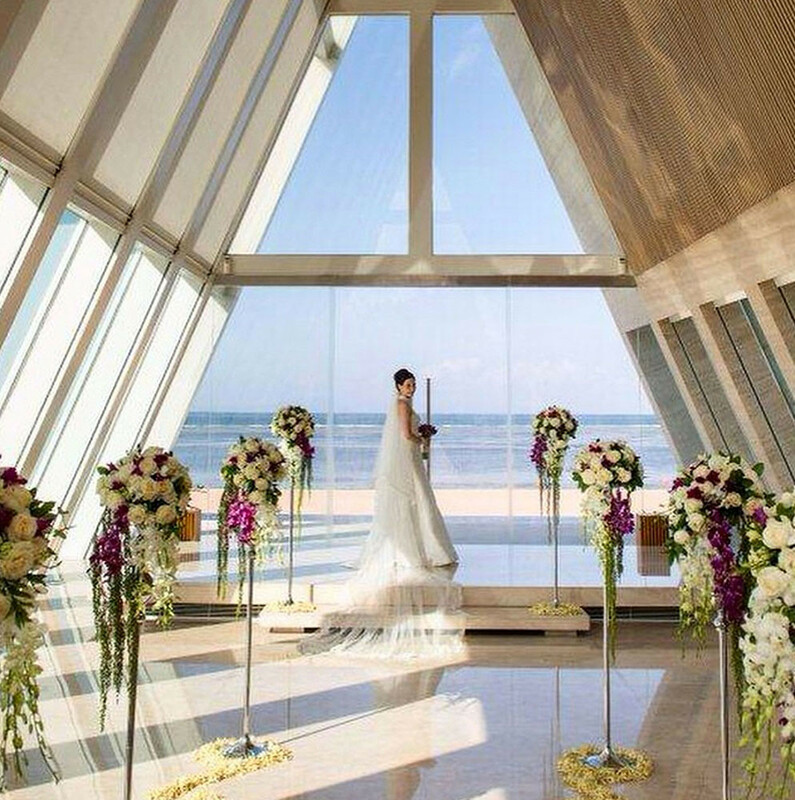 You can get a magical wedding by the sea at the Mirage Wedding Chapel. 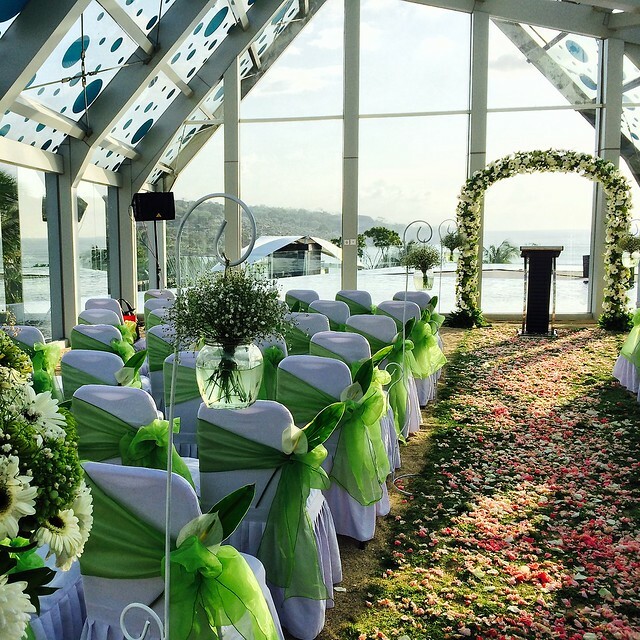 Situated directly next to the sea, this chapel is the ideal location for couples who wish to have a simple, affordable, yet fairytale-like wedding. 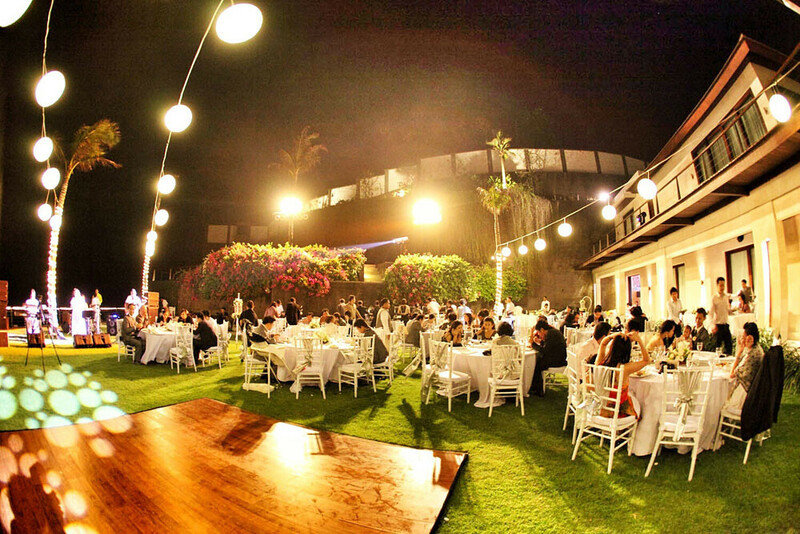 With its elegant white paveway, simple archway and magical lanterns, the area is bathed in a special glow. Who says you can’t tie the knot just like a princess? 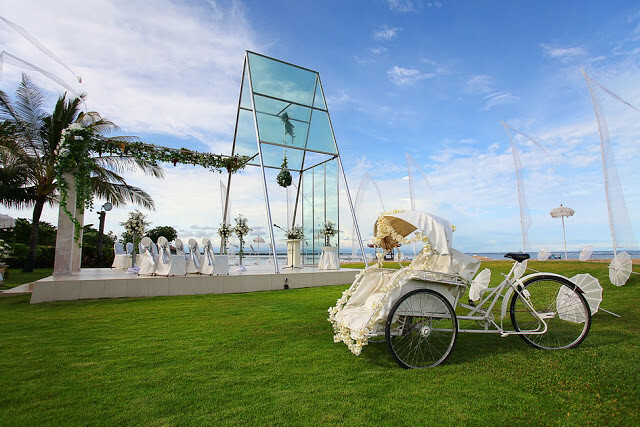 The Edge really strives to treat each and every guest like a rock star – just like the many celebrities who have held their weddings there, like the famous Taiwanese star Vivian Hsu. 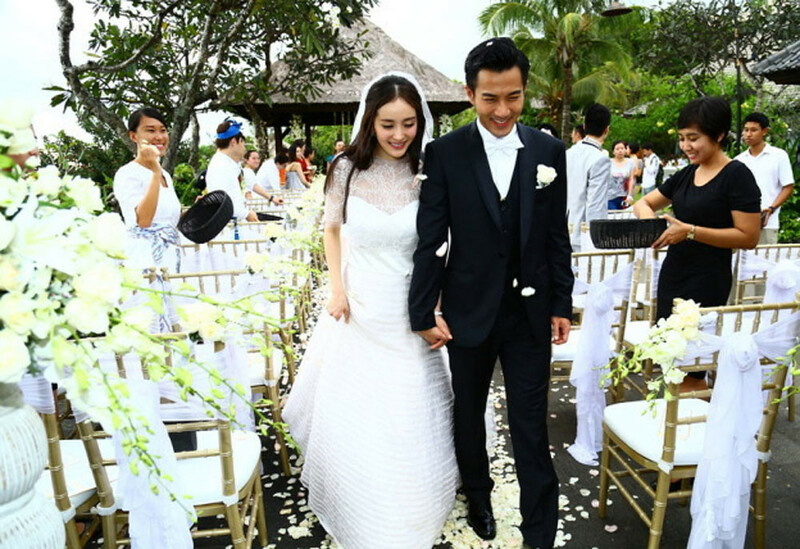 Big-time Chinese thespians Hawick Lau (刘恺威) and Yang Mi (杨幂) are among the list of the rich and famous who have chosen to hold their weddings at this romantic and luxurious resort. 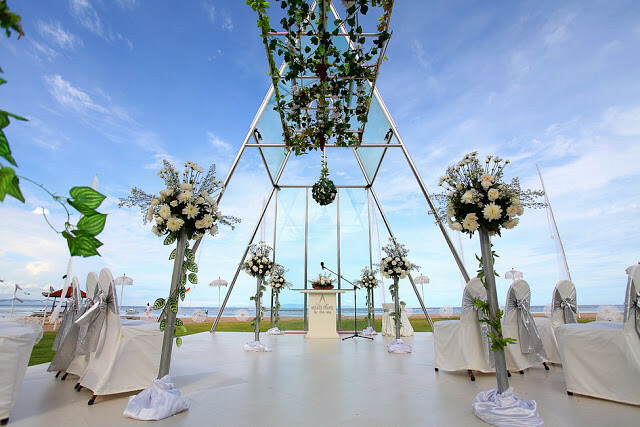 If you want to have a more dramatic wedding, why not say your vows closer to the sky? Even if it’s ever so slightly. 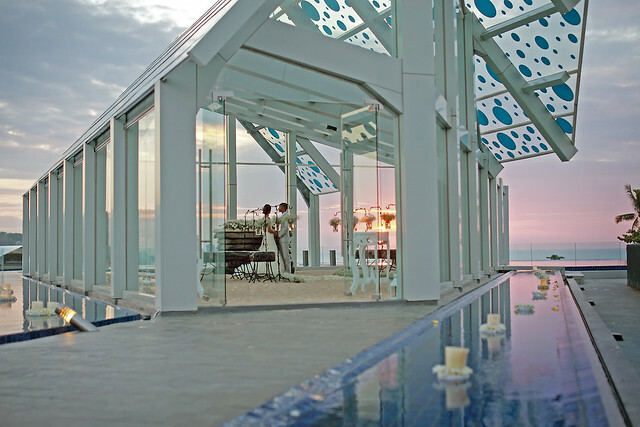 It may not be a cliffside resort, but the Celebration Pavilion, perched on the fifth floor of Le Meridien Bali Jimbaran, boasts of a breathtaking open-concept architecture and an amazing view of Jimbaran Bay. 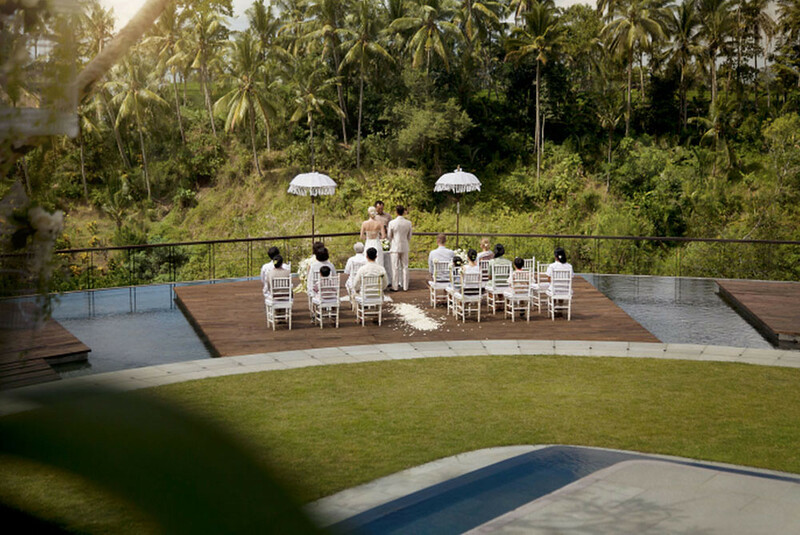 With the pavilion’s accompanying infinity pool, sandy ground, and even benches made of real wood, you can tie the knot right in the middle of natural surrounds, without having to go through the inconveniences of actually having an outdoor wedding. Nowadays, getting married on land is no longer your only choice. 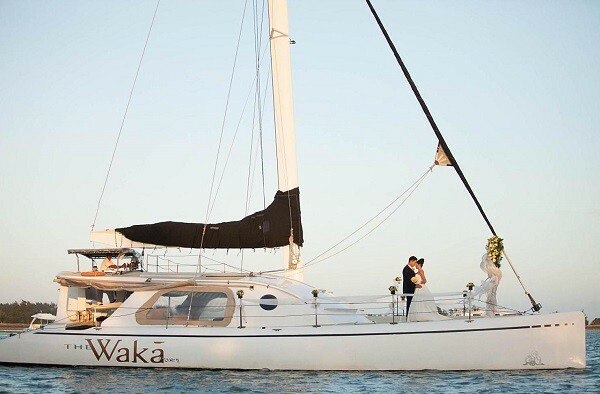 For the adventure-seekers out there, saying your wedding vows on a ship is an increasingly popular alternative that’s worth a try. And honestly, why wouldn’t it be? While you do have to take note of the weather conditions (please don’t sail out in the middle of a thunderstorm), you get to cruise on the calm waters and feel the ocean breeze – doesn’t it simply call out to your romantic nature? 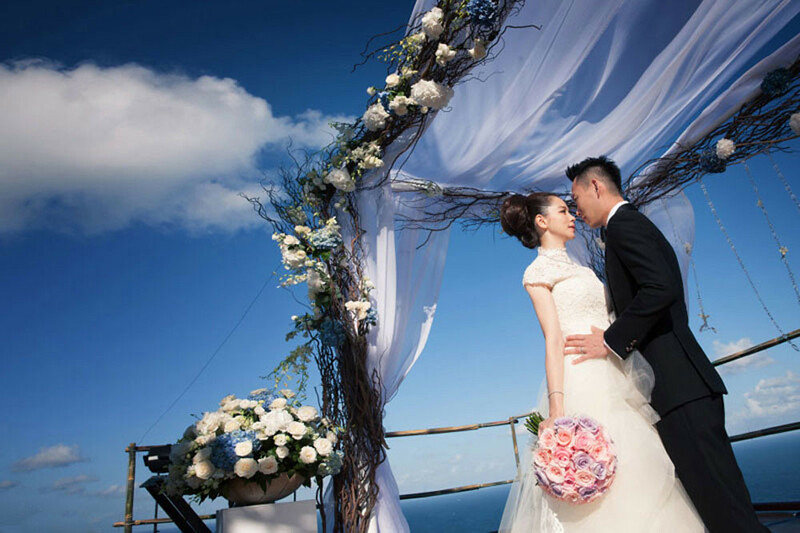 For details of wedding packages, check out Classicku Bali Wedding website. 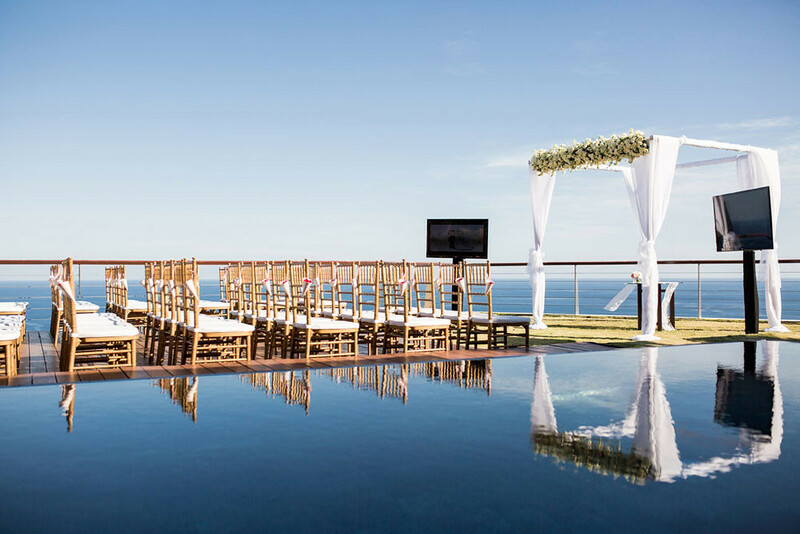 Have you always dreamed of saying your vows on the edge of a cliff? That magnificence that spreads out at your feet beyond the horizon, while you vow eternal love to your beloved one, is an experience you can hardly replicate in your lifetime. 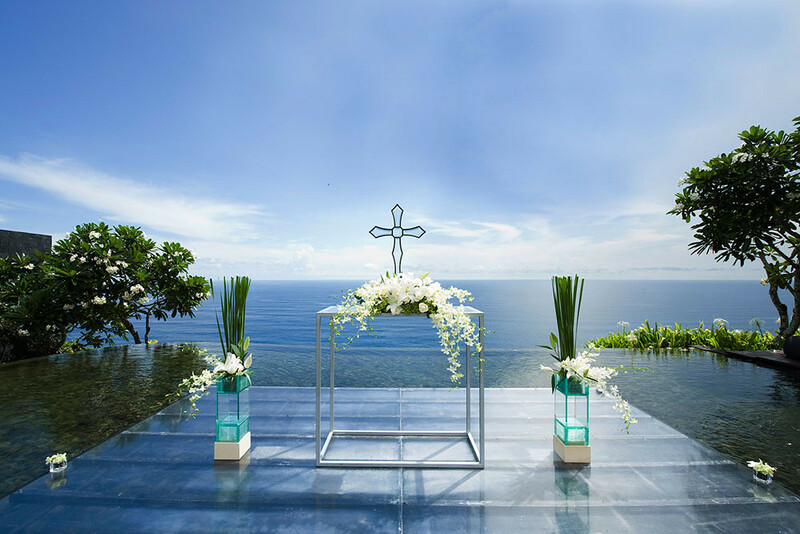 One of the best spots is The Wiwaha Wedding Chapel at the very top of a secluded cliff at Nikko Bali Resort & Spa – it’s the perfect venue for an intimate wedding reception with a few close friends and family. 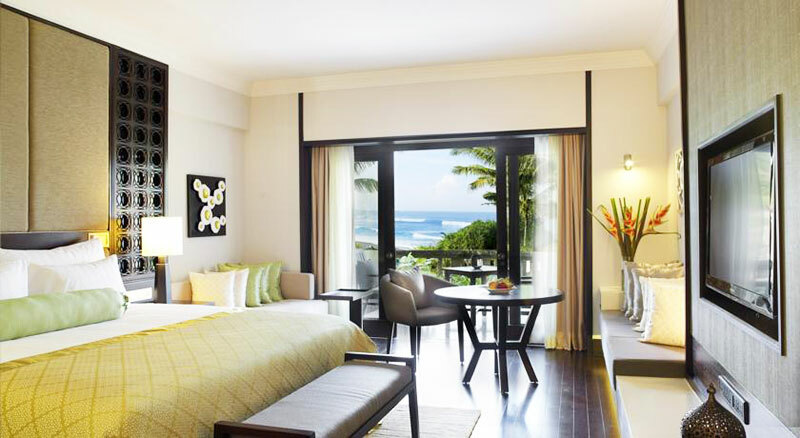 From the chapel, which has a modern and traditional fusion design, you can also get a panoramic view of the vast Indian Ocean. You’ll be living a fairytale. It’s no secret that Hong Kong diva Sammi Cheng(郑秀文) held her private wedding here with her actor boyfriend of 22 years, Andy Hui (許志安)! 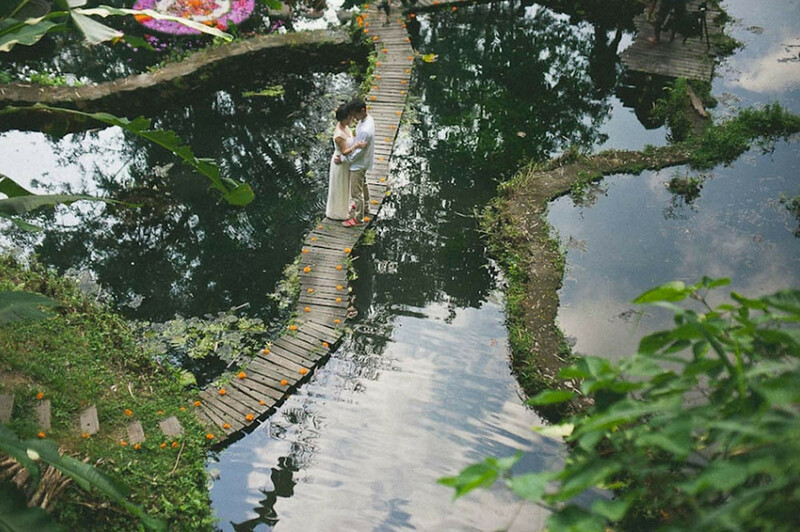 Want a truly unique wedding ceremony few people have gone through before? 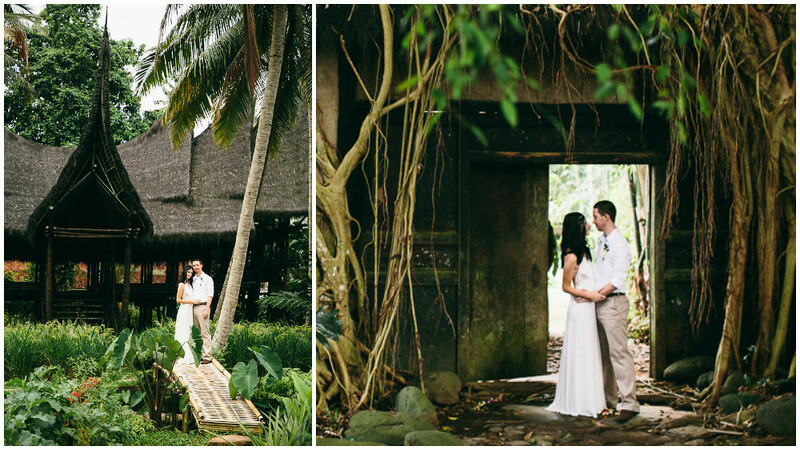 If your childhood dream is to be wild and free like Tarzan and Jane, here’s your chance. 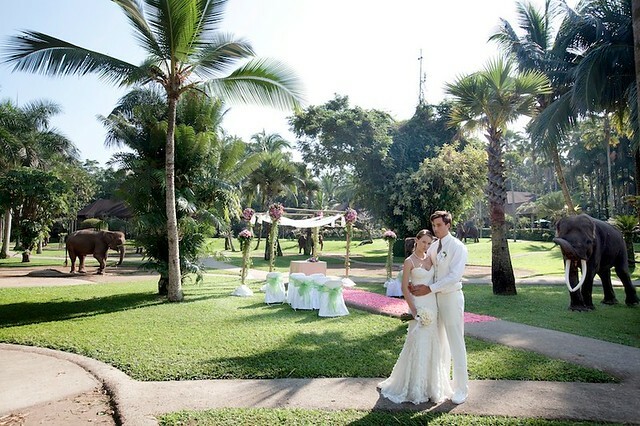 At the Elephant Safari Park & Lodge, your wedding is no longer just a human affair – the elephants are there to celebrate your special union too! 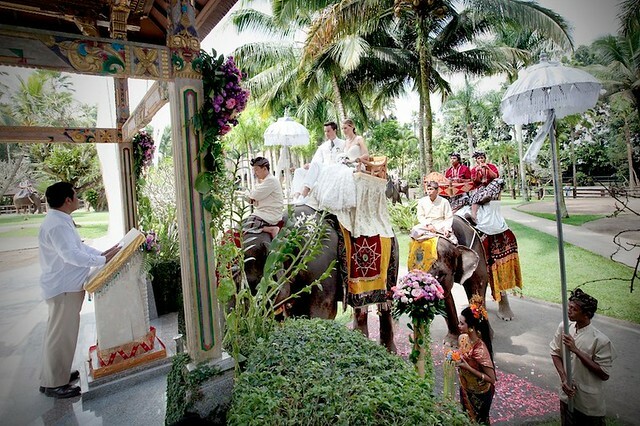 You’ll get to go through a Balinese blessing ceremony from atop an elephant, and say your vows before an elephant-inspired altar. The gentle giants will also be present at the ceremony as your witnesses, and you won’t be able find better ones elsewhere – after all, they never forget. 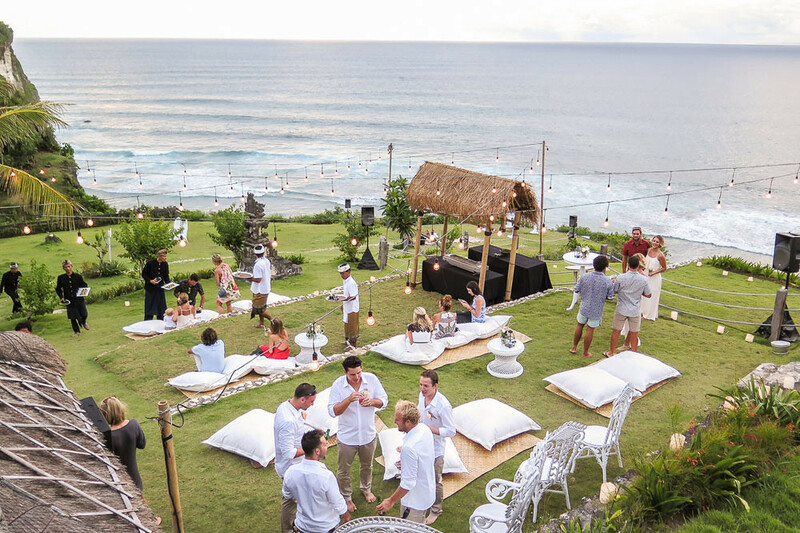 We have already shared some insider tips on how to throw an underwater wedding in Bali – and BIDP is doing one better by actually making the aquatic magic happen! Granted, underwater nuptials are not for everyone. Below the waves, the bride and the groom can’t hear let alone speak to each other and wearing a Vera Wang wedding gown is definitely out of the question. 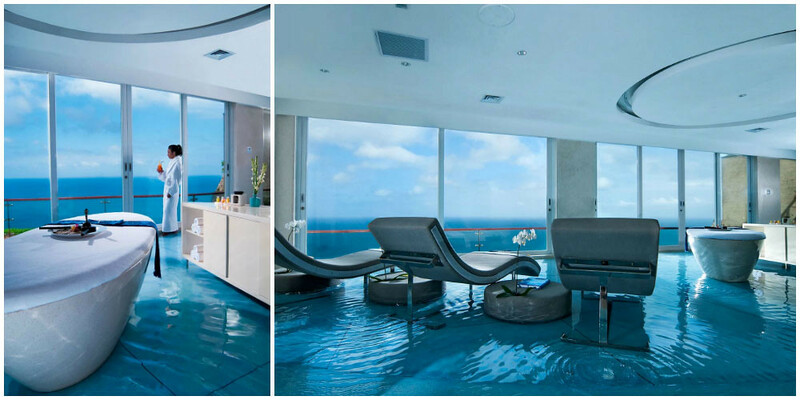 That being said, there is still some undeniable magic to these kooky, submerged ceremonies. 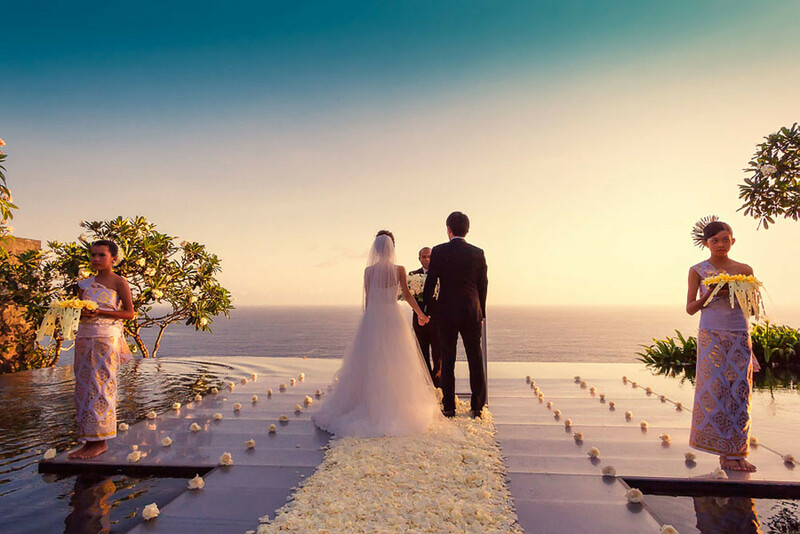 The complete lack of audio makes the ceremony uniquely intimate and it’s hard to imagine a more beautiful setting for any event than the crystal clear waters off the coast of Bali. 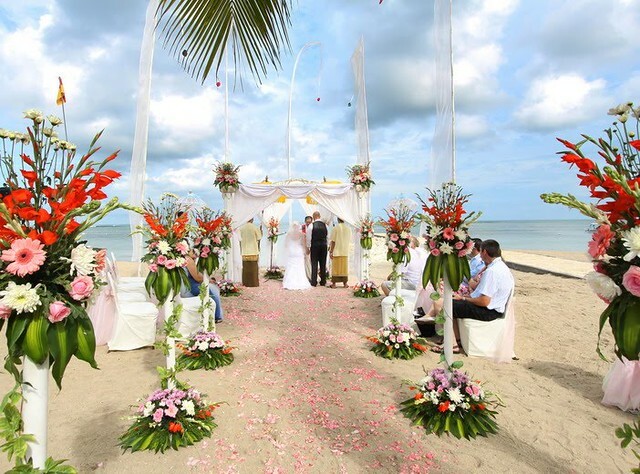 Whether you think it’s a great idea or just simply nuts, one thing’s for sure – an underwater wedding will make for a day to remember and a great story to tell your grandkids! Check out this mind-blowing video of a happy couple actually exchanging their vows under the sea!